Good morning! It can’t be Monday already, can it?! Wow…the weekend just flew by for me! I was able to get quite a bit accomplished on my hallway utility closet, but I’m still not sure I’ll be able to finish it by tomorrow, which is the deadline for the “Imagine the Impossibilities” Challenge. I’m still going to try, though! When I was a little girl, I remember being mesmerized at the string art that my grandfather created. Every time I see string art, I’m reminded of him, so I love that it seems to be growing in popularity right now. I really like how this one from Creative In Chicago is just the opposite of most that I’ve seen in that the negative space creates the letters. 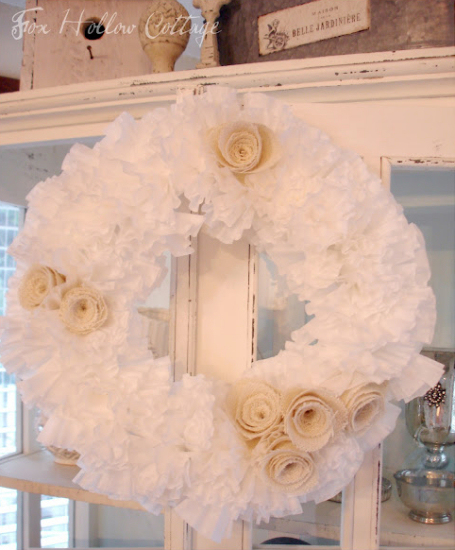 I’ve seen several coffee filter wreaths before, but this one from Fox Hollow Cottage just might be my favorite. It looks so ruffly and feminine, and those flowers with their subtle color difference are the perfect finishing touch. This is absolutely brilliant! PB&J Stories turned this regular drawer into a printer drawer with a flip-down front for easy access. What an ingenious way to hide a necessary but generally-not-so-attractive piece of computer hardware. 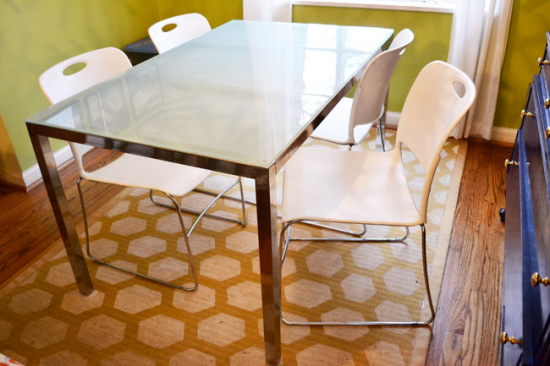 I Like What I’m Herring bought these incredible chairs at the Salvation Army for $3.75 each! Of course, they weren’t originally so incredible. 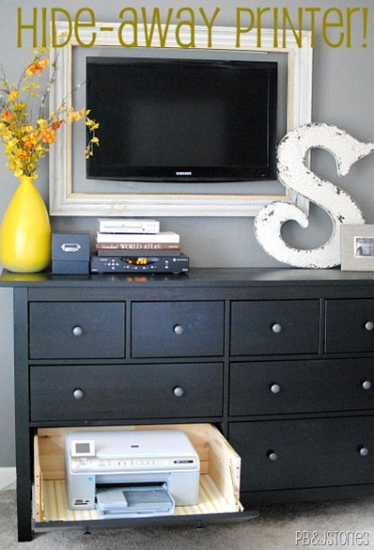 They were a drab gray, but that’s nothing that a bit of glossy white spray paint can’t fix! 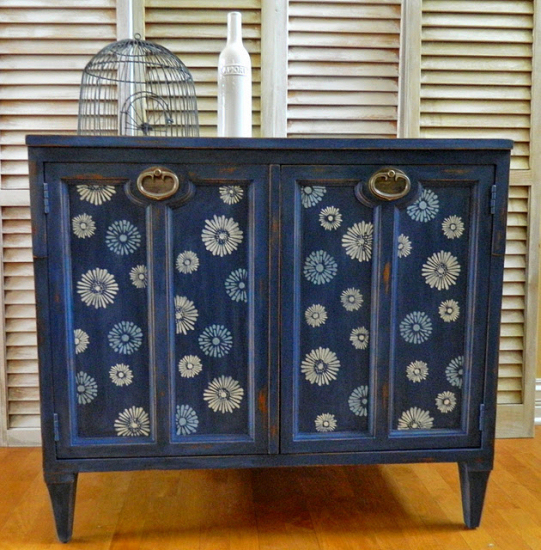 SweetGirl Expressions turned a drab cabinet, which was a curbside find, into this beauty. 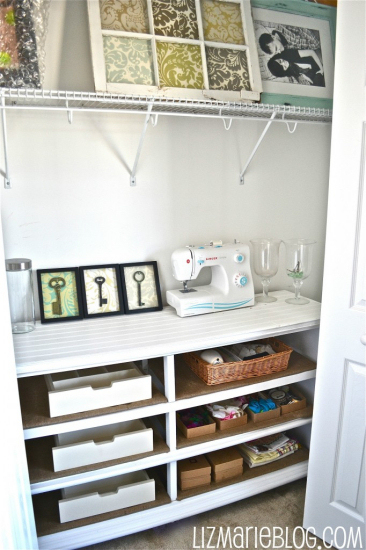 And Liz Marie Blog turned a pretty standard dresser into this great shelving unit with a pretty beadboard top, perfect for storing away craft supplies. Aren’t those great projects?! And remember, if you have your own project to show off, you can link up to the Addicts (not so) Anonymous link party. The party starts at 1:00pm every Friday. Next Post Out of Curiosity:: Is Orange For You? Thanks for the feature, Kristi! I love linking up to your parties! You’re the best! 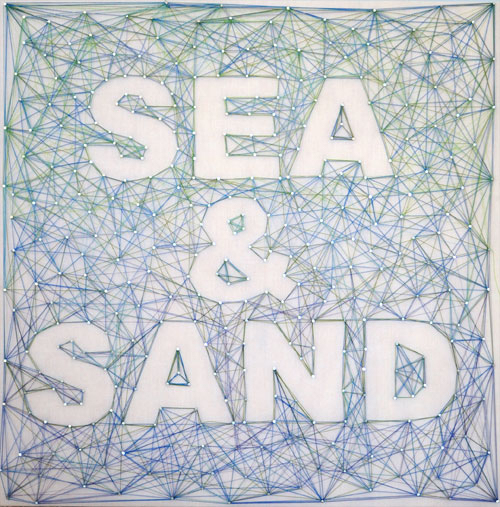 Thanks so much for featuring my string art… glad you liked it and it evoked fond memories of your grandfather! Love the string art and coffee filter wreath! !